Egypt’s youth handball team has qualified to the semi-finals of the 2015 Junior World Handball Championships in Brazil after a nail-biting victory over Sweden. In a game that saw both sides evenly matched, having been tied at 15-15 at half-time, Egypt managed to clench the victory with just 43 seconds left in the game, ending the game 28-27. According to the International Handball Federation’s analysis, Egypt started to outclass Sweden tactically in the second half. However, both sides saw multiple chances at a greater goal advantage slip between their hands throughout the game. 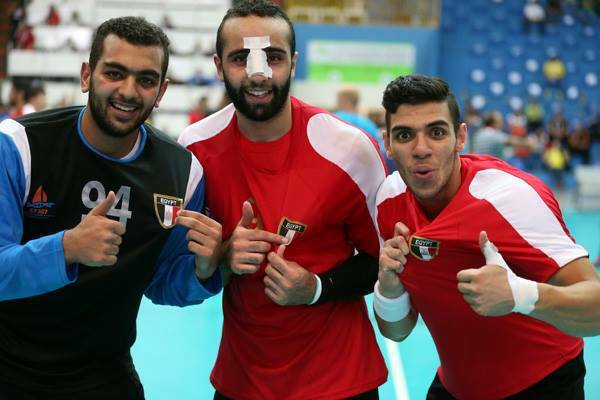 Egyptian players following their victory over Korea. Credit: IHF. Egypt’s victory came after defeating Korea ahead of the quarter-finals with a three point advantage over Korea’s 36 goals. “Today it was the team spirit that got us to win. 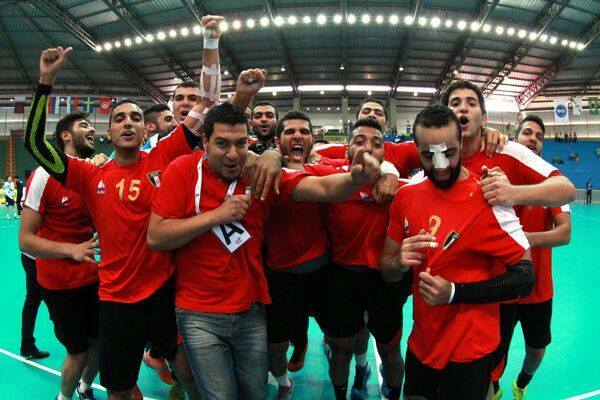 It was nothing tactical or technical, just our spirit,” declared enthusiastically Egypt’s Mohab Hossam Mohamed to IHF’s correspondent. With Egypt facing France in the semi-finals on Friday 31 July in Uberlandia, the team remains confident that they can win the entire tournament. If the Pharaohs defeat France, they will face either Denmark or Germany in the finals.